The Sun is in mid-Aquarius. Finland lies under a thick snow cover. January was cold, and when I look at the scenery, it is hard to believe that we are already halfway between the winter solstice and the spring equinox. This is the time of the pagan festival called Imbolc, which marks the beginning of spring. Candlemas, one of the oldest Christian feasts, is traditionally celebrated on February 2. On Candlemas, many Christians bring their candles to their local church, where they are blessed and then used for the rest of the year. The Slavic feast of Dziewanna Gromniczna (Dziewanna of the Thunder Candle) is celebrated also on February 2. Traditionally the thunder candles were lighted in honor of the goddess. They were placed on windowsills as protection during storms – a custom still widely practiced in Poland. People believed that the thunder candles protected from wolf attacks, too. Dziewanna is a pre-Christian goddess of spring and wild nature. Yellow mullein flowers (Polish: dziewanna) are her symbol. 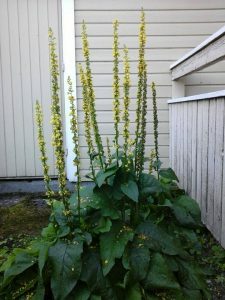 Mullein is an herb which has been used thousands of years in folk medicine. You can make tea from its leaves and use it to help with respiratory conditions. The flowers can be crushed and used as a paste to disinfect scrapes. The flowers can be used even as a hair dye. In ancient times dried stalks were dipped in wax and used as torches, especially in ceremonies held in honor of the goddess Dziewanna. 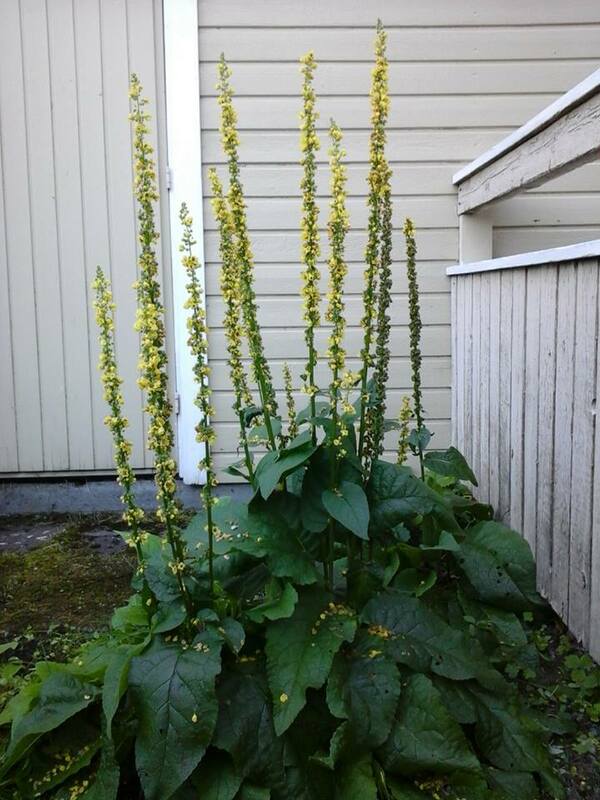 Mullein in my garden last summer. Photo: Copyright © Kirsti Melto. The New Moon today at 15+ degrees Aquarius is square to the scattered disc object 471143 Dziewanna at 15+ degrees of Scorpio. 471143 Dziewanna is the latest named trans-Neptunian object. The orbital period is around 592 years, and the diameter about 470 kilometers, which makes it very likely a dwarf planet. It was discovered in 2010 by astronomers Andrzej Udalski, Scott Sheppard, Marcin Kubiak and Chad Trujillo during the Polish OGLE project of Warsaw University. Hopefully Dziewanna brings us the spring. 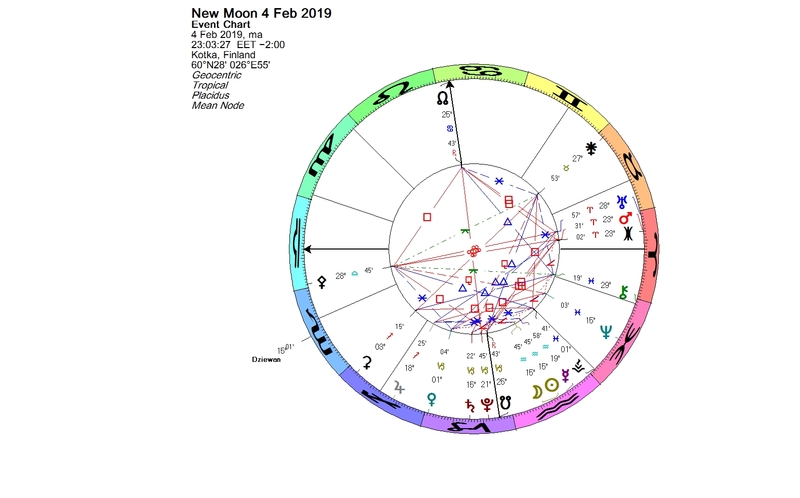 This entry was posted on Monday, February 4th, 2019 at 11:50 pm	and is filed under New Moon. You can follow any responses to this entry through the RSS 2.0 feed. You can leave a response, or trackback from your own site.